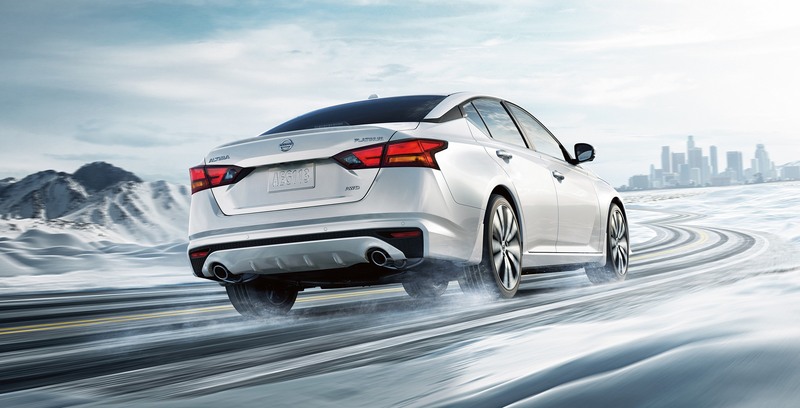 The all-new 2019 Nissan Altima was designed to shake up the midsize sedan market. Scroll down to read a quick breakdown about its many exciting features. The 2019 Nissan Altima comes available in four trim levels – S, SV, Platinum, and Edition ONE. The Edition ONE will only be available for a limited time period, based on the Platinum Trim. The Altima Edition ONE will feature 19-Inch Alloy Wheels, Edition ONE Floor Mats, a Rear Spoiler, Illuminated Kick Plates, and an Edition ONE Badge. Interestingly enough, only 250 Altima Edition ONE models will be imported into Canada! All trim levels will come equipped with Intelligent All-Wheel-Drive and the 2.5-Litre Direct Injection DOHC, 4-Cylinder Engine, producing 182-HP and 178 lb/ft of Torque, mated to a Continuously Variable Transmission (CVT). Incredibly, the 2019 Altima is the first AWD sedan offered in Canadian Nissan History! 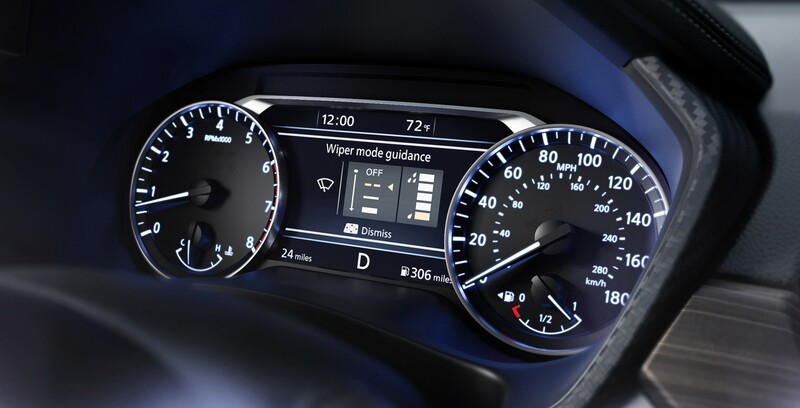 The 2019 Nissan Altima will also come standard with an amazing Suite of Driver Assist Technologies including: Intelligent Forward Collision Warning, Intelligent Emergency Braking, a RearView Monitor, Intelligent Ride Control, Intelligent Trace Control, and Intelligent Driver Alertness. In addition, the Nissan Safety Shield 360 (standard on SV, Platinum and Edition ONE) – will include: Intelligent Emergency Braking with Pedestrian Detection, Intelligent Lane Intervention, Rear Intelligent Automatic Braking, Blind Spot Warning, Rear Cross Traffic Alert, and High Beam Assist. ProPilot Assist will also come standard on the SV, SL, Platinum, and Edition ONE models. Stepping up to the Platinum and Edition ONE trim level will also get you an Intelligent Around View Monitor. 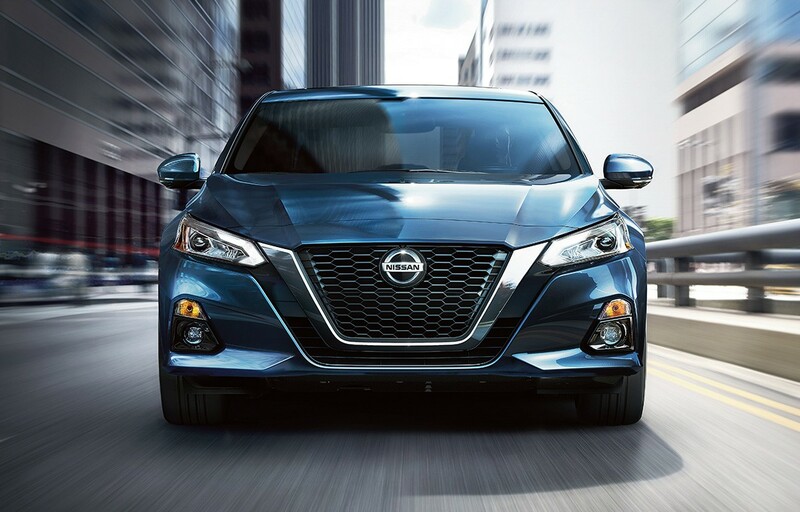 The exterior design of the 2019 Altima is longer, lower, and wider than its previous generations, it is also accentuated by a large V-Motion Grille, which actually pushes the V-Bars to the outside of the grille face, giving it a European inspired look. On the inside, you will find a premium interior space with redesigned front seats, and a quieter cabin, thanks to Active Noise Cancellation. Heated Cloth Seats come standard, while Leather-Appointed Seating is available on the Platinum and Edition ONE models. 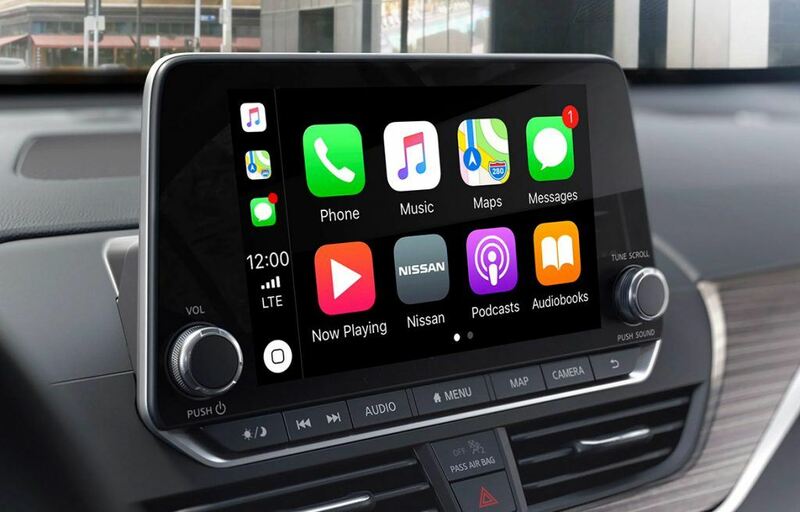 Coming standard across all trim levels is Apple CarPlay and Android Auto, along with the Bluetooth Hands Free Phone System, Siri Eyes-Free Voice Recognition, Two USB Ports, and Two USB-C Ports! 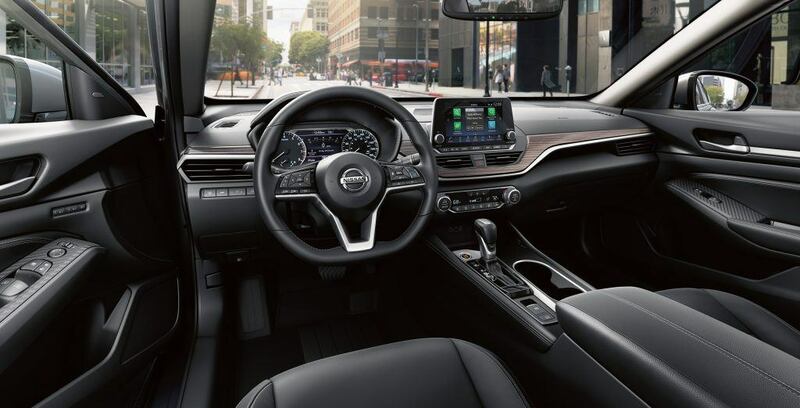 This Altima will also offer an 8-Inch Touchscreen and a 7-Inch Advanced Drive Assist Display, across all trim levels! In addition, the available NissanConnect Services powered by SiriusXM, along with available Door-to-Door Navigation with Real-Time Traffic Information will also be offered on selected models. If you would like more information on the 2019 Nissan Altima or if you are interested in taking it out for a test drive, then please contact us at Guelph Nissan. We will be happy to assist you!